Lita and her team were amazing as always !!! They performed promptly and kept the crowd going !! I highly recommend them for big events or personal parties. Never disappoint!!! Very creative, professional, and original! I have booked and worked with Lita Deadly several times and she never ceases to amaze me. She brings something different to the table each time and always draws in a crowd. She is also very professional and keeps an open line of communication. Punctual as well. Lita is an amazing performer who knows the art of tease! She has a diverse style and offers many different looks as well as music that ranges from traditional to plenty of alternative styles! Her sideshow performances are so astounding they will leave you on the edge of your seat! She is worth every penny and more! Hiring her will guarantee a night of entertainment you do not want to miss out on! 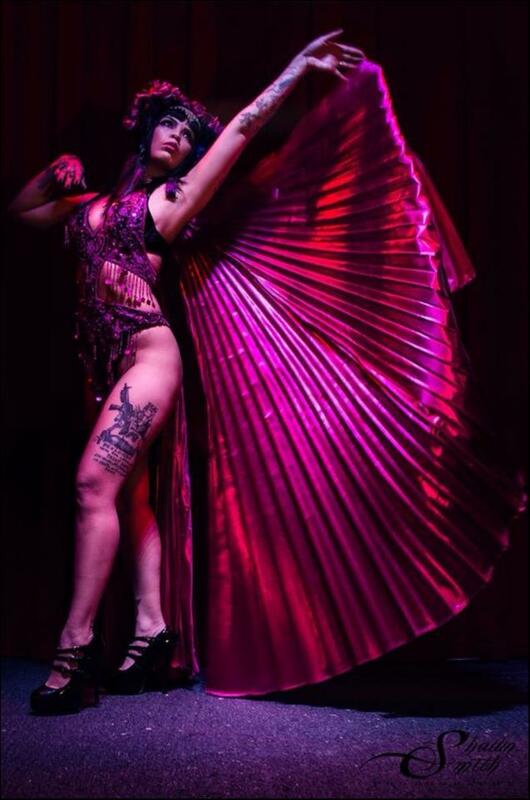 Lita Deadly is a burlesque / sideshow performer based out of San Antonio, TX. A founding member of Le Strange Sideshow and a Co-Producer of the San Antonio Burlesque Festival. Lita has been performing burlesque and sideshow all over the U.S., touring with several groups. Known for her d unique ability to combine classic burlesque with old sideshow acts. I can work on any size stage. Lighting depends on venue. Set list depends on the length and style of show.